﻿And this outfit is FLAWLESS!!! Yello with black and white strip body-con skirt! I recently wore this in an OOTD post. But definitely more budget friendly (Forever 21). 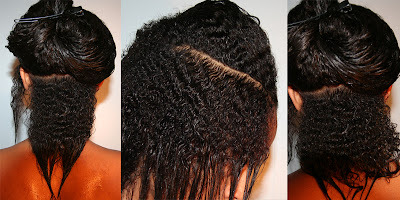 I like the middle parted twist outs! I cant wait until my hair is long enough to do so. Im newly natural and in my 1 month update Ive already achieved 1 in of growth. YAY! Im coming up on 3 months natural!